This is an interesting and uncommon 1970’s ladies elliptical shaped 18k. 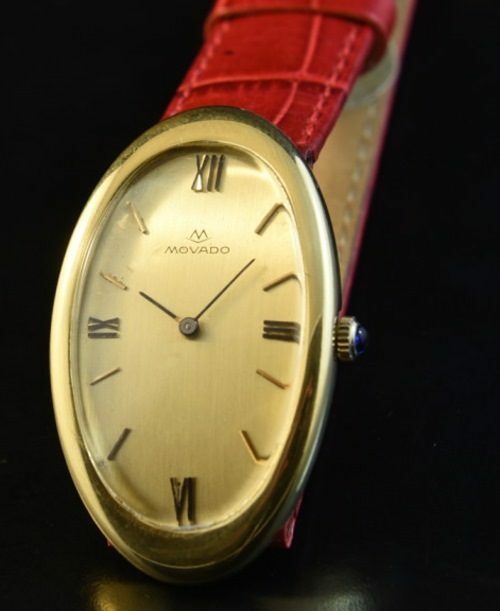 solid gold MOVADO measuring 24.5x41mm. with an original dial. The fine vintage MOVADO manual winding movement was just cleaned and accurate. This watch really pops on the wrist. $1950.